Continuing our series on getting different perspectives into the field of ‘Open Science’, we spoke to Israel Bimpe, a pharmacy student at the School of Medicine and Pharmacy of the University of Rwanda, and a youth role model and champion for global health issues as the Vice President (and Chairperson of the African Regional Office) of the International Pharmaceutical Students’ Federation. He spoke to remind us that Open Science is a global challenge, and I hope this interview helps to illuminate that. Hi Israel! Could you tell us a little bit about your background? 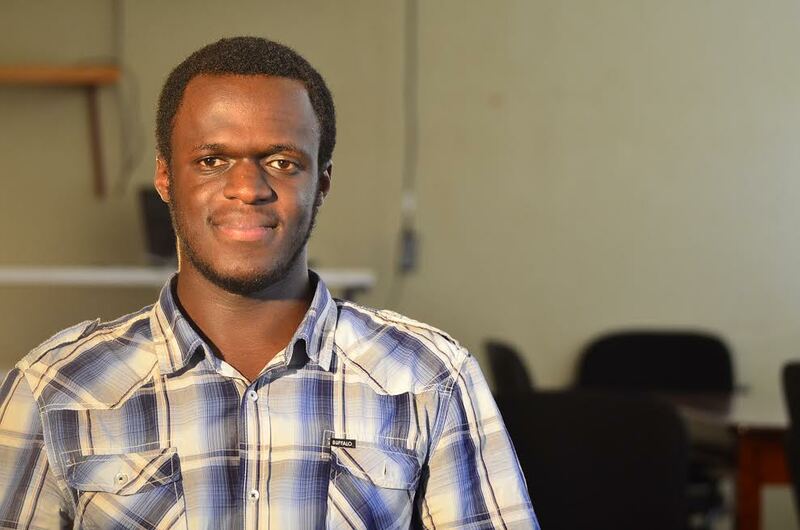 I’m a Pharmacy Student at the School of Medicine and Pharmacy of the University of Rwanda, doing my final year, which is just an internship, and very excited to graduate in July. When did you first hear about ‘open science’ and ‘open access’? What were your first thoughts about them? I heard about Open Science and Open Access during the 68th World Health Assembly in Geneva where I met a friend who was calling for more Open Science and Open Access in a random hostel lobby group discussion. It was so interesting that I got to check about it and even registered for the conference in Brussels (OpenCon), for which I was unfortunately not selected due to my limited knowledge probably. You are very passionate about global health equality and social justice. Where do you see open access and open science fitting into this? I have been thinking about ways of linking up my passion to my interest in Open Science and Open Access, but still struggling to bridge them. I feel like my passion is more of civic engagement and interest on open science and open access more into education and science. Moreover, I rarely read/hear my Global Health and Social Justice Role model refer to Open Access and Open Science. It is quite still confusing for me. We do struggle very much, as we can only access very old, non-accurate research. 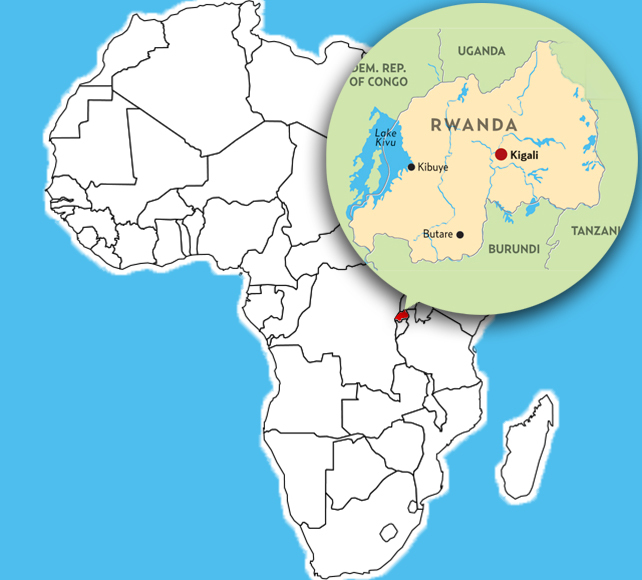 How important is open access to students and medical professionals in Rwanda? This not only applies to Rwanda but Africa in general in order to advance education and science, we need to access recent and up to date information. A practical example is that, I, in my whole education never used a paper published in the past two to five years. Excuses are usually that it’s expensive to access them and how easy it is to access the platforms. Open Access would then be very important for students and medical professionals here in matters of accessing updated and accurate information, as well Professional Development for a better practice. Do you and your colleagues from Rwanda struggle with getting access to research? We do struggle very much, as we can only access very old, non-accurate research. The same research is not extended to the student level. My University, for example, only considers it a priority for postgraduates only. Hence they do not put in place facilities needed for me and my colleagues to access it. I guess it’s because it is also a struggle at all levels regardless of the degree level. What is the current state of Open Access in Rwanda? Is it easy to publish via this route? Open access in Rwanda is limited to the law on access to information from the government, which is not scientific at all. Moreover, very few of us are informed about the basis of Open Access. I wouldn’t say if it’s easy or not. Open access is a gospel which is yet to reach us. Does ‘open science’ work as a system in Rwanda? Are there policy initiatives and research-led projects working together? We are a very young research-wise, and hence have not yet explored the Open Science side of it. What are some of the best ways you’ve found of encouraging students to be ‘open’? Students are not very involved in research. Hence being ‘open’ is quite irrelevant to them. As well always making medicines for people and not for profit, I would also say make research for people and not for profit. What are the main barriers to open science and open access in Rwanda? The research environment and capacities lacking very much and while struggling for relevancy, the few researchers we have won’t aim for open. Could platforms like ScienceOpen help encourage researchers in Rwanda to be more open about their research? For example, through open peer review? 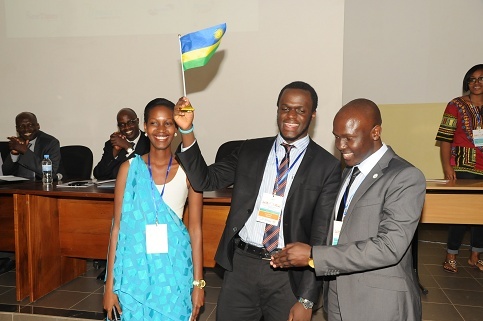 How do organisations like the Rwanda Pharmaceutical Students Association and the International Pharmaceutical Students Association engage with policymakers about issues regarding open science? I will speak more on the International Pharmaceutical Students’ Federation, through our Pharmacy Education portfolio, though not yet explored, I believe we can make a step further, include Open Science in our strategic plan and through advocacy call for Open Access in order to maximize all advantages that come with it. As well always say it should make medicines for people and not for profit, I would also say make research for people and not for profit. If you could change one thing about scholarly communication, what would it be? Speaking for an aspect of studying in Rwanda, so different from elsewhere, we need publications to be really accessible to us. Consider matters like no or slow internet, limited electricity, among others. And then look at the process to access updated scholarly materials. Where do you see the future of scholarly communication, in Rwanda and more broadly? What steps are needed to get there? In Rwanda, and Africa, we will still lag behind for many years if we still depend on research made abroad and making less of own. Broadly, it worries me when I look at how expensive it is to access the necessary scholarly materials, it is limiting access for all in less developed countries and even making it harder for those in developed countries. Scholarly communication has to be more open and accessible. Steps would be to change the way research is funded, as the trend is now is do the research that can be funded not the one that is the most relevant or interesting. Then make it for people and not for profit, ease the access for all, consolidate research education and build more open platforms. If you could give one piece of advice to students wanting to pursue a research career, what would it be? Start as soon as you first feel that interest. Start as early as yesterday. Thank you Israel, it’s been great to get your insight, and all the best for your graduation! I hope our readers can use your experience to see just how important Open Access is for everyone on this planet, irrespective of their geographic location or academic status. I’m a pharmacy student at the School of Medicine and Pharmacy of the University of Rwanda, expected to graduate in 3 months and currently working on my final year dissertation on assessing attitudes of early carrier pharmacists’ perception of competency based education and continuous professional development. I’m the Vice President (and Chairperson of the African Regional Office) of the International Pharmaceutical Students’ Federation, a member of the Global Shapers Community of the World Economic Forum and Executive Director of Rwanda Childrens’ Cancer Relief. I am passionate about Global Health and Social Justice, I champion efforts to help young people and communities make informed, and responsible decisions on their health as well as social and economic standards of living. I’m a social media enthusiast and sometimes write blog posts. Previous: Previous post: Creating Collections now even easier!